For instructions on how to use the SRM, please see the Tutorial. What is the Sector Rotation Model? 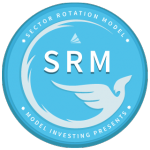 The Sector Rotation Model (SRM) is one of our top performing Investment Models, designed to identify and invest in the strongest performing sectors of the stock market. How does the Sector Rotation Model work? Who should use the Sector Rotation Model? The Sector Rotation Model is suitable for all investors and can make a great addition to any portfolio. 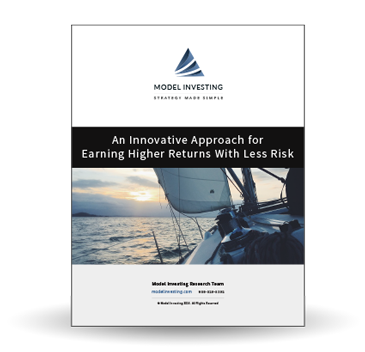 It was designed for investors who are willing to take on a bit more risk (when compared to the Asset Rotation Model) in exchange for higher returns. What role should the SRM play in my overall portfolio? When compared to the Asset Rotation Model, the SRM achieves higher returns at the expense of additional volatility. As a result, we recommend using the ARM for the majority one’s portfolio, and using the SRM for the balance. This ensures adequate diversification without causing any type of performance drag. Where can I see the SRM’s historical performance? You can view the SRM’s historical backtested performance here. Pay special attention to the table of risk metrics, you’ll notice that the SRM significantly outperforms the S&P 500 while exposing your money to less risk. How does the SRM achieve such high performance? Where can I see the latest SRM recommendations? You can see the latest SRM recommendations here. Access requires a premium subscription. How do I use the SRM? I’m already retired, can I still use the SRM? Yes. People are living longer these days and it’s important that your money continues to work for you during retirement. Because the SRM has been able to generate higher returns than both stocks and bonds, and also avoid major losses during market crashes, we feel comfortable recommending it as a portion of any investor’s portfolio. For more information on how to de-risk your portfolio during retirement, please see this article. Will I incur transaction costs while using the SRM? Yes, but they should be negligible. 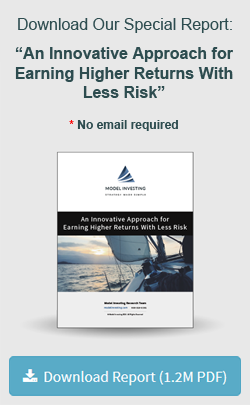 We designed the SRM to use low cost ETFs and make a minimal number of trades each year. This helps you reduce expenses, which can make a big difference over the long run. What happens to the SRM if the stock market crashes? The SRM is able to recognize developing periods of stock market weakness and will move to cash during the early stages of a crash. When the SRM moves to cash, you can check the Asset Rotation Model to see if bonds are an appropriate investment in the meantime. The SRM will reenter the market once stock performance recovers. Do the Sector Rotation Model and Asset Rotation Model work in harmony? To some extent, yes. Both the ARM and SRM will enter and exit stocks at the same time. When the ARM recommends stocks, you can utilize the SRM to find and invest in the top performing sector of the market. Conversely, when the SRM goes to cash, you can use the ARM to determine if bonds are a suitable place to invest that cash. What does “SRM + ARM” refer to? This refers to using the Sector Rotation Model and Asset Rotation Model together. Specifically, it refers to the performance that would be achieved by following the SRM when it is invested in the stock market, and following the ARM during periods when the SRM has switched to cash.